With the release of Ashes of Malmouth, one of the most enjoyable and well-received new features has been the Illusionist by far. We think the community agrees, with new illusions posted regularly! 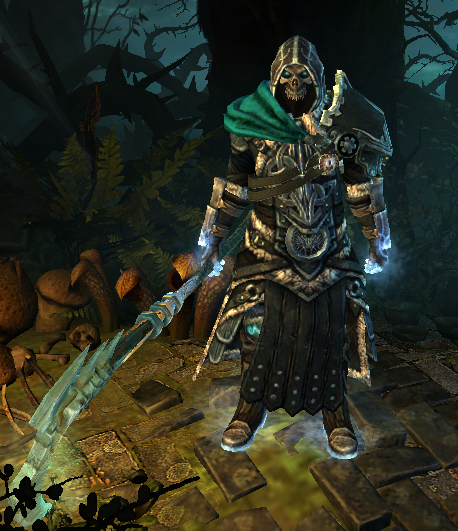 We've scoured through the growing compilation of grim fashion across Grim Dawn's various forums/reddit and, while it was a difficult choice, we came away with some of our favorite picks. These are a mere sampling of the massive number of possibilities when using Grim Dawn's Illusionist! Which one is your favorite? Share your own illusions below! Although DW Malkadarr would be the close second. Others are abusing glow effect too much to my taste. Definitely the 2 fire based ones, I want those for my Demolitionist. But all the artwork looks amazing, I love the details you've got on those outfits. The Aether caster with Korba's Fur looks wild. I wonder what the shoulders are on this one. I like the three bottles one the side. I'm currently playing with a AAR Druid and i need to get Korba's set or something similar for him. I wonder what the shoulders are on this one. My money is on the Mantle of Lost Souls. Still proudest of my Reaper's look. Very nice actually. Gloves look somewhat out of place though.